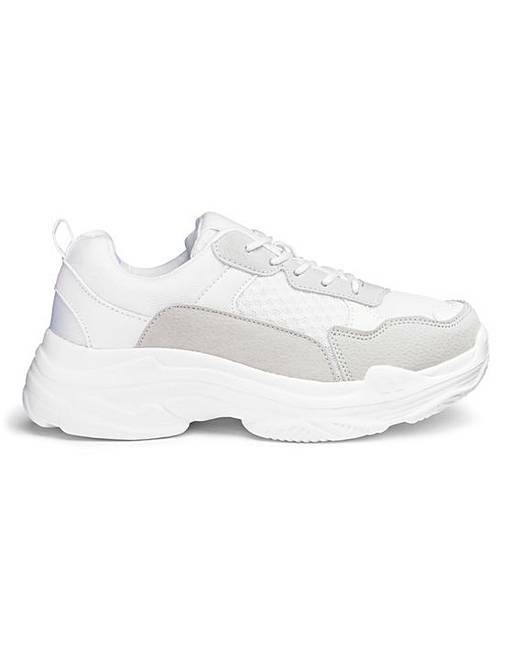 Nell Chunky Trainers Wide Fit is rated 3.8 out of 5 by 6. 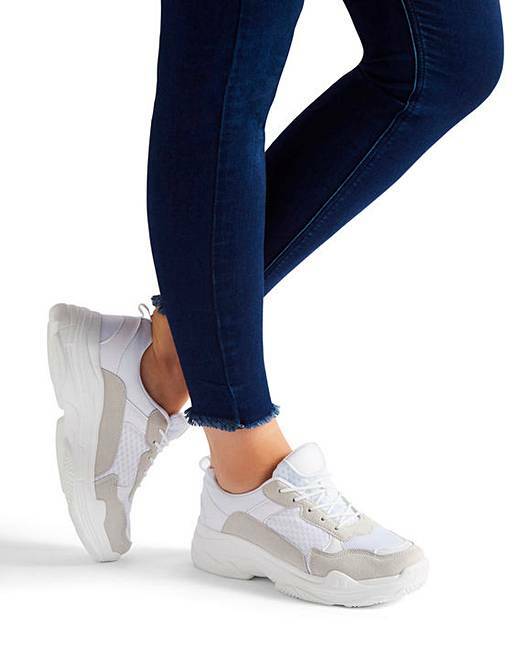 This trendy chunky trainer look is both sporty and casual, suiting all your leisure needs. Available in black or white, pair with jeans or leggings. 30% of the purchase price will be donated to Breast Cancer Now, a working name of Breast Cancer Care and Breast Cancer Now, a registered charity (Nos 1160558, SC045584 and 1200). Fashion Targets Breast Cancer is Licensed by the Council of Fashion Designers of America, Inc./CFDA Foundation, Inc., U.S.A. Rated 5 out of 5 by Savvieg from Brilliant Love these. Great to look at and nice and comfy to wear. A bargain too. Would highly recommend. Rated 2 out of 5 by AliM from Gutted! The trainer looks so good, but the fit is so wrong. Lovely and light, but too narrow and come up short. 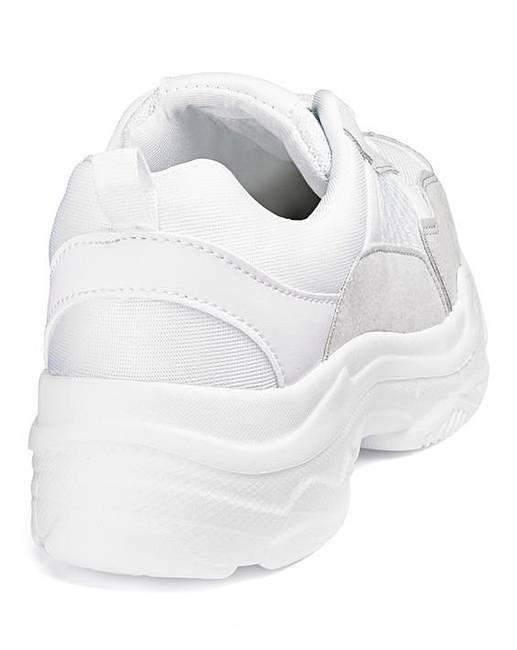 Hope the company remake this shoe, but to a better fit. Rated 2 out of 5 by BeeBee from Nice but too small I loved these but when I tried them on I felt like one of the ugly sisters trying on the glass slipper. 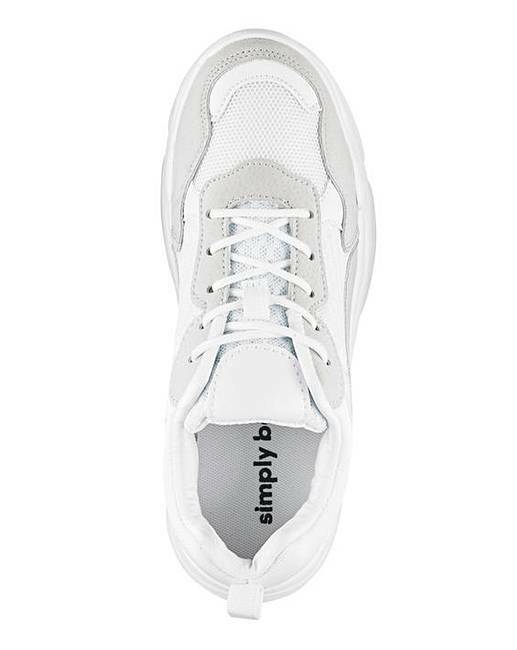 Rated 5 out of 5 by Angiew from Love them Lovely comfy trainers and trendy. True to size. May have to get another pair. Rated 5 out of 5 by Jaxster from Great fit. They are very comfortable and fit well. My feet are a wide fit so very pleased with these. 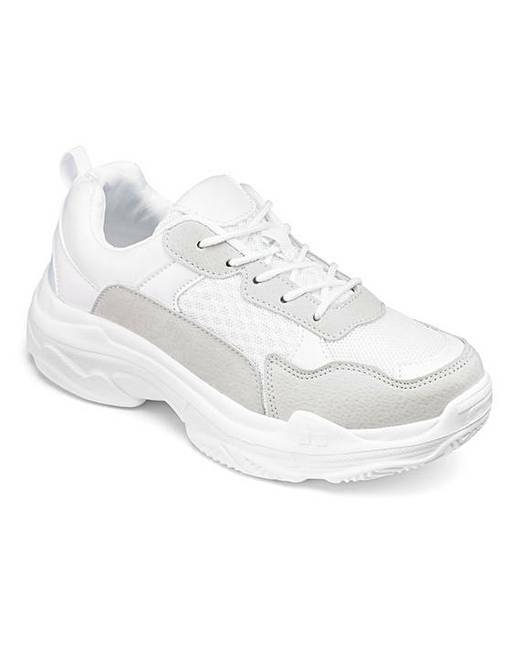 Rated 4 out of 5 by Kriszta from Light weight Comfortable shoes and also light weight. Although I don’t like the bottom of the shoe’s shape as it is a bit long at the back.